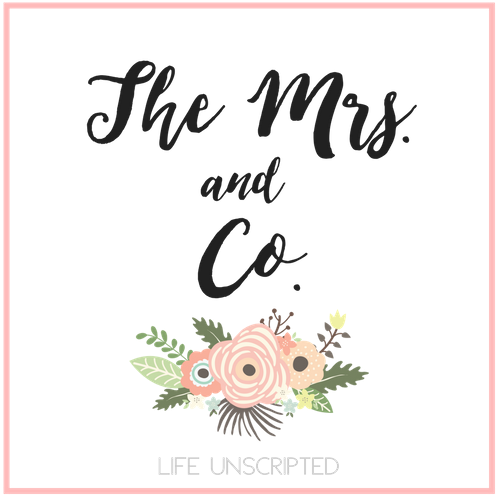 Irresistible Me Review - The Mrs. & Co.
You may have seen some pictures floating around Instagram of me with instant long hair. I wish I could say I had a magic pill that made my hair grow so long, but alas I don't. But I do have the next best thing! I was contacted by Irresistible Me to review a set of their hair extensions and I jumped at the opportunity! I love long hair, but I just can't seem to be patient enough for it to grow. Then I get bored and chop it all off because I want something new and the whole cycle of wanting long hair starts again. So when they contacted me I knew this was going to be the fix to my problems. I did my research to make sure that their brand was reputable, sturdy, and real hair. And it checked out across the board. Irresistible Me makes their extensions from royal remy hair (REAL hair) so you can cut, wash, blow dry, and curl your extensions, which for me is a must because I love wearing my hair curly and need to be able to curl the extensions. They are so easy to clip into your hair as well! No tape or glue. Just clip in and clip out. They come in tons of different colors and they even have a highlighted option where they combine 2 colors. I went with the highlighted version and chose ash blonde and golden blonde to match my ends. Since the extensions go under my hair, it was a necessity to have them match my roots. They come in different lengths (14-24 inches), I went with 18 inches, but if I could go back, I'd choose 16 inches. I feel like it would look more natural. It also comes in different weights (140-200 grams). The weight is how much hair is sent to you. I chose 200g so that I could have the option of putting a lot in or not a lot. Also, if you get the extensions and decide the color doesn't match or they are too long or too short, you can return them and choose something different. At first I decided to get the color to match my roots because I was going to go back to all over brown, but once I got them, I decided I wanted to keep the blonde on the ends. So I sent back my first set and waited for them to contact me to choose my next set. My only complaint was the length of time it took to get my new set. It was almost 2 months. My first package somehow got lost in transit. It would have been nice if the return system was a little more efficient. Possibly adding tracking numbers to the orders would be a great addition. So if you are looking for a simple and easy way to get long, beautiful hair, Irresistible Me extensions is it! They are also extending a sale code to my readers! Use code IrresistibleAshley for 10% off your purchase. And here's a little secret, they are running a sweet promo and you can actually use the code GET20OFF and get 20% off right now! In the video below, I show you how I put in my extensions. So if you have no clue how to do it, just follow my tutorial and you'll be good to go! I do apologize that I get blurry throughout some parts of the video and the fact that the last 15 seconds or so got cut off. I'm still new at video blogging! I'm having my maternity pictures done this week and will be sporting the long hair for them. Can't wait to share them with you! A set of extensions was given to me in return for my review. This in no way swayed my review. I am PRO extensions and wear my clip in ones all the time! I don't own this brand but will check out their website! They look great on you, mama! Irresistible Me makes extensions from royal remy hair so you can wash, cut, blow dry, and curl your hair. It sounds something very good and convincing because personally I love wearing my hair curly and want to be able to curl the extensions. Those who want to experiment their hair should go for it. You must see http://www.toptenwritingservices.com/ and there is and most relevant piece of information posted here.